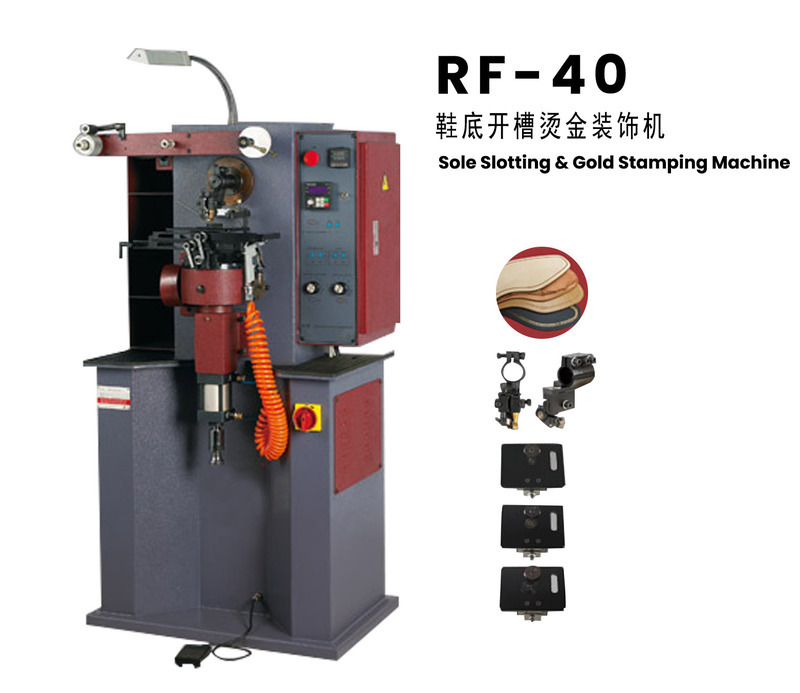 It is used for grooving, embossing, gilding of leather outsole and seam outsole, replacing different functional parts, different pressing wheels and gilding paper, etc. It can be embossed or gilded with all kinds of patterns on the outer bottom to achieve the purpose of decorating the outsole. The line seam outsole can be cut and slotted so that the milling groove can be hidden in the outsole so as to achieve beautiful and durable effect, and can also be applied to the processing of the rubber and imitation leather outsole.